We install both new and used sunroofs into almost any car. We service and repair sunroofs that have been worn, broken or in a vehicle that has been in an accident. We also remove sunroofs for panel shops needing to perform any work on turret damage or resprays. We install top of the range Webasto temperature control systems into the cabins of trucks so our clients’ drivers can travel comfortably no matter what time of year. We cater for both domestic & commercial transport companies as well as dealerships. Whether you require repairs, re-trims or a custom interior in your car, caravan, bus, truck or boat, we have the tools, skills and machinery to accommodate your needs. No job is too small or too big, we are here to make your travels as comfortable as you desire. We specialise in providing cost-effective used sunroof installations that come with the highest quality installation. Installation of high quality Integrated and Top Sliding Sunroofs into all makes and models of cars. An ideal way to have a cost effective yet high quality sunroof option for your car. We specialise in the installation and repair of BMW. Mercedes and Audi makes of cars. We install high quality evaporative and refrigerated cooling systems manufactured by Webasto. We provide upholstery and trimming services including repairs and custom work. Contact us to find out how we can provide a solution to you. Brand new Top-Slider Sunroof installed in a VZ Maloo! Comfort and style is just as important as power! We installed one of our reliable refurbished roofs into this Calais VZ. The integrated roof is looking pretty schmick! 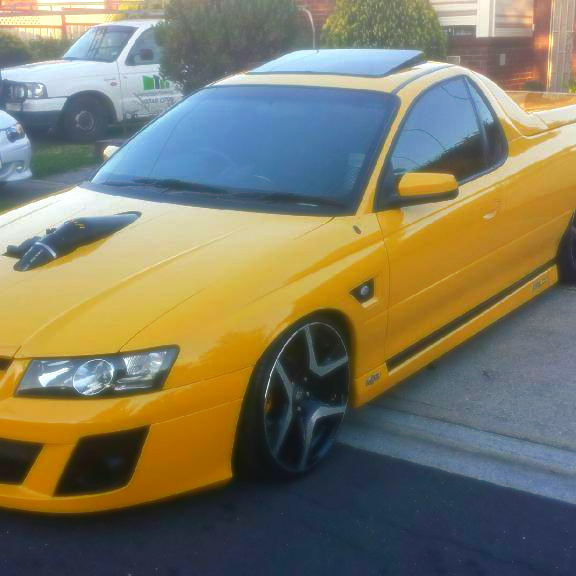 We installed one of our brand new Webasto Top-Slider roofs into this VE Ute, resulting in a very happy customer!